For over twenty-five years, Dr. Carolyn DeMarco has been championing the cause of women's health and alternative medicine. She was among the first to advocate the pro-active take charge approach to health care that has now been adopted by mainstream medicine. Over her whole career, her mission has been to inform, inspire and empower women to take charge of their health at every level. She has lectured and given workshops extensively across Canada and the United States on women's health and alternative medicine. At age 13, she started writing on social issues such as the injustices of poverty, the prison system and the death penalty. She has a large eclectic library composed of over 5,000 books and thousands of articles and magazines. She is a major supporter of bibliotherapy (reading in order to become informed and take action). One of the areas of inquiry dearest to her heart is how our emotional, psychological and spiritual health impacts our physical health. 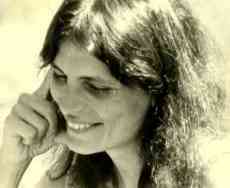 In 1972, DeMarco obtained her medical degree from the University of Toronto She worked as a consultant in complementary medicine in both the city of Toronto and in rural British Columbia. She is a pioneer in natural childbirth and home births, and trained lay midwives. Dr. Carolyn DeMarco is one of a rare breed of medical doctors in the Canada and the United States that write regularly for the lay public. For eight years, she wrote the For Women Only column for Today's Health, a magazine distributed inside 350,000 copies of The Globe and Mail, with an estimated readership of over one million. For four years, she was one of four doctors writing columns for Lifelines in the Toronto Star, the largest newspaper in Canada, with an estimated readership of over two million. For two years, she had her own column, entitled Second Opinion, in the Vancouver Sun the second largest newspaper in Canada. She was a medical advisor and major contributor to Health Naturally, a Canadian health magazine and Health Counselor an American self-help magazine with a readership of one million. Her article, Medical Malepractice, is a chapter in the book Misdiagnosis: Woman As A Disease, published by the People's Medical Society. Her article on menopause is a chapter in the book On Women Healthsharing. Her writing style is warm and down to earth. Her focus has always been on practical down to earth solutions that cam be applied to real women's lives and financial constraints. She has also never avoided confronting tough issues like the harmful aspects of new age beliefs and how to avoid getting ripped off in the name of natural medicine. She is featured in the National Film Board's documentary Born at Home, a film about natural childbirth. Her media work includes the CBC television programs The Journal, Prime Time News, Marketplace, Midday, Alive and The Best Years. In addition she taped thirteen segments for CBC TV's morning series What On Earth which is now re-broadcast on the LIFE channel and twenty six segments as the weekly health columnist for the Women's Television Network. Currently, she is a frequent guest on Marilyn Dennis's live CITYLINE show on CITY-TV broadcast nationally which introduces the concepts of alternative medicine to the public. She was featured on Dini Petti's show on alternative medicine in 1998 and took part in two programmes of the twelve part series Uncommon Touch, hosted by Tom Harpur on Vision TV. Her book, Take Charge of Your Body: Women's Health Advisor has been widely acclaimed by women's groups across the continent. It provides a gold standard for women's health information. It is one of the best selling book on women's health in Canada. She has recently completed a second book called Doctor DeMarco Answers Your Questions. The book is accompanied by an innovative CD-ROM, Everthing You Ever Neeed To Know About Women's Health that can be previewed at demarcomd.com. The CD-ROM contains hundreds of Dr. DeMarco's original photographs of the B.C. scenery. She is currently working on a third book entitled, The Heart of The Matter. This book will be much more personal, based on her experiences and observations of healing emotional and spiritual issues. Carolyn DeMarco lives with her husband, a designer and innovator, in the southern interior mountains of British Columbia. She and her husband have travelled around the world. She has an organic vegetable and herb garden on their 24 acres which borders a wild river. She also maintains a part time medical office in Toronto. She is the oldest of nine children from an Italian Canadian family. She has a special interest in photography and has taken extensive photos of the beautiful Slocan valley which are featured in the second book.